While many people turned up the furnace and stayed indoors during the recent cold snap, a group of local emergency responders jumped into the frigid waters of Rosen Lake for ice rescue training. Taking part in this round of training were students from the RDEK’s South Country Fire Departments, Fernie Fire Rescue, Fernie Search and Rescue, Cranbrook Fire & Emergency Services Department, and Crowsnest Pass Fire Rescue. 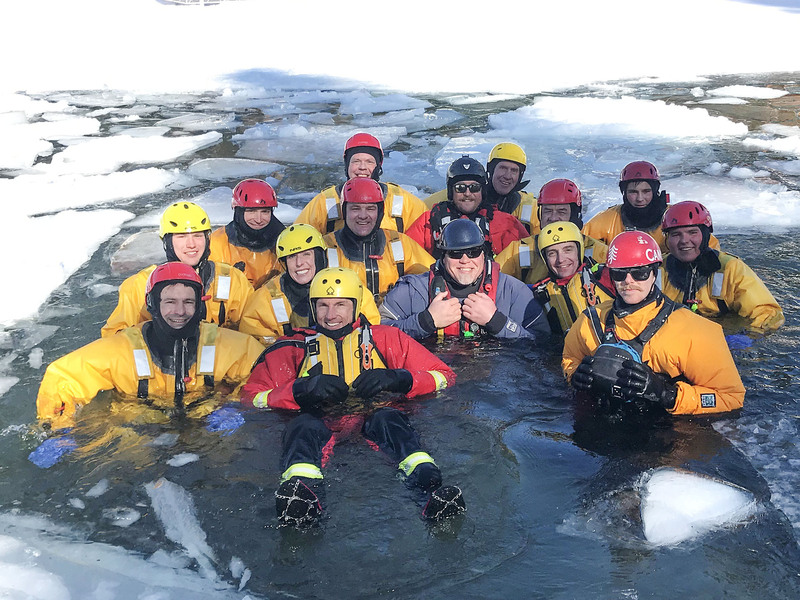 The two-day course was instructed by Rescue Canada and all thirteen participants achieved their Ice Safety Rescue Technician Level 2 certification, which is valid for three years.